So we made it back, safe and sound. We were lucky not to hit any snow on the way back... until Colorado Springs, that is. All of the sudden, the snow started blasting down and traffic slid to a virtual halt. It sucked. An hour and a half left in our twenty hour drive and we crawled at a pace that got us home about four hours later. Did I mention it sucked? Smart Becky cleaned out the fridge before we left, using up things like eggs and bread and other perishables. So now, as you can see from the view from my window above, the roads are covered in more snow than I'm comfortable driving in and we have a lack of anything resembling groceries in the house. Fun. Although, we do now have a ton of boudin and some fabulous steaks. Just not anything to eat with them. Mike said he didn't want to drive for another week, but if we're going to have any New Year's Eve snacks and our traditional pork, cabbage, and black eyed peas tomorrow, he's going to have to take me to the store later today anyway. So New Year's Resolutions... peck away at the TBR stack, stay on top of reviews, and get back to better eating habits and regular yoga. Have a Happy New Year, folks! Tomorrow it'll be 2011. 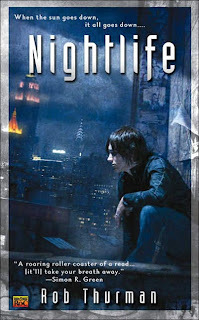 So Rob Thurman's Nightlife just happens to be my second choice in the for Literary Escapism's current NAC Mini Challenge. Cal Leandros knows all to well that there are monsters in this world. He is one. Or half, anyway. He and his brother, Niko, call them Grendels, but they are in fact elves. Wicked, monstrous creatures unlike anything you've imagined them to be. And they want Cal for something. They took him once. He escaped, but he can't remember how. He and Niko have been on the lookout for the Grendels ever since, and now it seems they may have returned. I really enjoyed this first in the series. It was much darker than I'd expected, and I liked the twist with the elves. Thurman's characters are interesting as well, the supporting cast of Robin Goodfellow and Georgina the teenage psychic especially intrigued me. I'm looking forward to learning more of their stories in subsequent books. I'll keep this short because today is Christmas Eve! I hope everyone has a great holiday and gets to spend lots of time with their loved ones. Relax, eat some great food, and enjoy the day! Mashups are all the rage these days. Take a famous literary or historical character/person, add a paranormal twist, and you've got the beginnings of a mashup. Thanks to Pride and Prejudice and Zombies, they're everywhere, invading every fibre of literature. Every historical figure is fair game. Every piece of our pasts is open to reimagining. It's pure, unadulterated entertainment. One of the latest landed in my lap just recently (thanks to a Shelf Awareness post). The Secret History of Elizabeth Tudor Vampire Slayer as told by Lucy Weston. So this is a triple play mashup -- it's Queen Elizabeth I, supposedly descended from Morgaine (aka Morgan le Fey, amongst others), born into a line of Slayers (yep, slighly Buffyish). Her nemesis is Mordred, King Arthur's son, who has been waiting for a queen to stand by his side, a worthy opponent whose strength can compete with his own. And then you have the pseudonymous author, Lucy Weston. It's kind of implied that there may be more to the story -- Lucy Weston is not even a true narrator in that she only has an afterword talking about the secret diaries that came into her possession after the 1992 fire at Windsor Castle, but what's Lucy's story? The Secret History of Elizabeth Tudor Vampire Slayer is an amusing read. All the major players are there, and I had a hard time not imagining Cate Blanchett's Queen Elizabeth (not helped by the fact that I caught the tale end of Elizabeth: The Golden Age on tv last week). I think it's time for me to read Queen Victoria Demon Hunter by A.E. Moorat next (that one will no doubt be helped along by Doctor Who!) and Seth Grahame-Smith's Abraham Lincoln Vampire Hunter. I love chick lit. I'm not ashamed to admit it. I think it's fun and light and just what you need sometimes (same goes with just about any genre for me actually). I can still remember buying Bridget Jones Diary in hardcover, newly released, just after the now defunct mag Jane ran a raving review. I think it may have been my first hardcover purchase -- I didn't even have a driver's license yet, but my friend did. She brought me to the bookstore and then, when I finished reading the laugh-out-loud hilarious adventures of Bridget, I passed the book onto that very same friend, who went on to read it at her private school where other teens starting picking it up, subsequently getting the book banned at the catholic high. Yep. Fun days! And chick lit is still out there, sometimes hiding under the more ambiguous tag of women's lit and other subgenre marketing labels that anyone thinks may appeal to a wide range of readers. Anywho, I kicked off my weekend with a new to me chick-lit read, Kim Gruenenfelder's There's Cake In My Future. In the book, three thirty-something friends are all hoping for love, success, and happiness. Nicole, about to be married and looking for a new job, Seema, in love with her best friend but afraid to make a move, and Melissa, dating her boyfriend for six years and still no ring, have a plan. Nicole arranges for a cake pull at her wedding shower and rigs the cake so that they each will pull the charm that will bring them exactly what they wish for. But when the charms somehow get switched, everything goes awry. Super cute read. I really mean that. I was laughing out loud all night! I loved the characters, I loved the hijinks, and I especially loved Gruenenfelder's sense of humor. A little snarky, a little sarcastic, things I've thought myself but never said aloud! Definitely recommended. Gruenenfelder has two other titles under her belt, A Total Waste of Makeup and Misery Loves Cabernet, books I intend to check out after the holiday season. Many, many thanks to Rachel for sending this one along. I absolutely loved it! And my final Charleston trip read from my recent visit was Cherie Priest's fabulous follow up to the amazing Four and Twenty Blackbirds, Wings to the Kingdom. In the second Eden Moore book, the Chickamauga battlefield has its share of ghost stories, but they've grown more frequent and bizarre of late. A pair of famous ghost hunters has come to town to investigate and Eden decides to check it out herself. It seems the ghosts have a message, but getting it across is proving quite difficult, and then very real gunshots begin to ring out once again on the battlefield. So fun! Priest turns historical fact into fiction by twisting the real story to fit her plot, a tactic that works in making her stories come alive for readers like me (and believe it or not, some of the really weird stuff is untouched local legend -- Green Eyes, for example). She is truly one of my favorite authors. I know, I know, I'm going all fangirl! I can't help it. 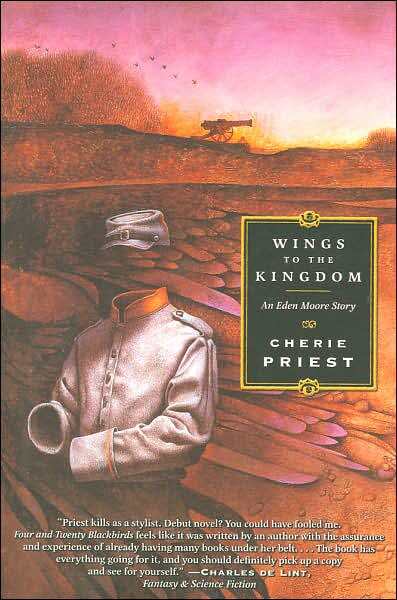 Priest has a couple of distinctions in my recent read list: Four and Twenty was the first book to literally freak me out in recent years and Boneshaker was (I believe) my first official steampunk read. So yeah, if you still have yet to add Priest to your "Must Read" list, you're seriously missing out. Favorites are up over at Bookbitch.com! I have to say, 2010 (and it's not quite over just yet) has been a great reading year. It was so tough to narrow the list -- so far I've read 137 books in 2010 (vs 169 in 2009) -- I ended up with 15 instead of 10 titles, and could easily have added more. My list is pretty zombie and apocalypse heavy this year as well. Not surprising since it's been a good year for the apocalypse! You can see just how different our reading tastes are over there as well. None of the titles are duplicated. In the four years I've been contributing reviews to the site, I think there's usually a little bit of overlap, but not so this year. So check it out and add to your own TBR lists. I know I am! Oh, and if you're curious, my list is purely in order of books read, not in order of preference. Also, this year is the first time I've joined one of the many, many online challenges. 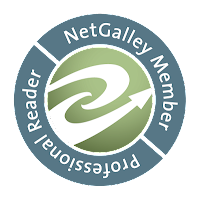 Jackie at Literary Escapism hosts an annual New Author Challenge, and you can sign up for 15, 25, or 50 new to you authors. I signed up for just 15 and easily reached the goal. In fact, I'm at 41 right now (and these are just the new to me authors that I posted on my blog. My list is probably much longer than that in actuality.) It's been fun to track them, though, and to see what everyone else is reading. So we're in the home stretch of the year, with just under two weeks to go before 2011 hits us. Here's to a fabulous new reading year next year! 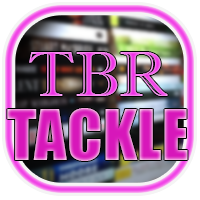 I'm going tackle the TBR and see what I can knock out before New Year's! Syrie James has been busy, busy this year! Dracula, My Love: The Secret Journals of Mina Harker is fresh off the presses (well, fresh this summer) and now her latest, Nocturne, is set to hit shelves in just a couple of weeks (Jan 4 to be exact). In NOCTURNE James tells the story of Nicole Whitcomb, a young woman whose car runs off a Colorado mountain road during a blizzard, and who is snowbound for days with a handsome, fascinating, and enigmatic stranger, Michael Tyler. As Nicole spends more time with Michael, she can’t shake the feeling that he is hiding something from her—and as the romantic and sexual tension between them builds, Nicole soon learns the terrifying truth: that Michael is a vampire who’s torn between his love for her and his desire for her blood. 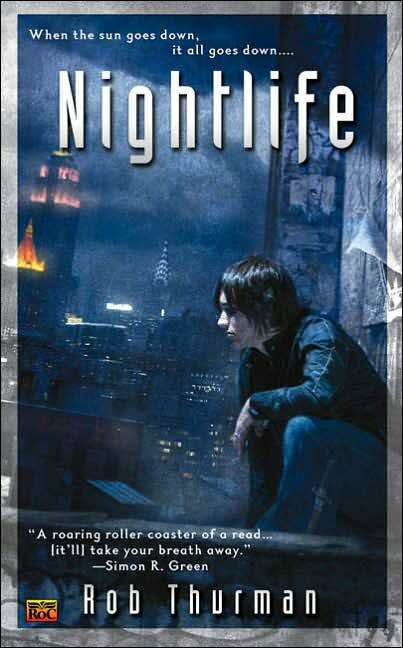 James captures the dilemma of the vampire in a compelling and devastating way in NOCTURNE. Even though Michael is a good man who has already spent an eternity struggling to repress the evil inside him, he cannot trust himself with Nicole, the one woman he yearns for more than anything in the world. For Nicole, there is nowhere to run but the blizzard raging outside, and yet Michael is the only one who can save her life. I don't know about you, but with all this winter weather, I'm thinking this is going to be the perfect steamy read! I have to heartily thank Elena with Wunderkind for sending this one my way. Remember, mark your calendar for Jan 4! This would be a great one for those of you I know will have gift cards burning holes in your pockets! Ah yes, book three. I finished Strout's book on Tuesday, Medeiros's book on Thursday (didn't read much on Wed since I was waiting for Top Chef to come on in Eastern time zone -- lots of channel surfing for a few hours there). Pamela Callow's Damaged lasted me Friday through one flight on Sunday. I have to admit, it was a little tough to get into. I think I was just so tired by that point in the trip. Callow's debut introduces lawyer Kate Lange, who is returning in book two, Indefensible, later this month. Kate Lange is on probation with her new firm. The position comes with a temporary period in which she must prove her value to the company if she wants to keep her job, kind of a tough prospect when one boss seems to hate her and the files coming her way don't extend past family court. One case in particular catches her attention though, a grandmother seeking custody of her granddaughter. Catch is, the girl's mom is a high powered judge and there's no evidence of any negligence that would warrant a custody dispute. When the girl turns up dead, however, Kate has to wonder if she could have done more. My one complaint with this book, bearing in mind that I wasn't able to give it my all, was that there seemed to be so many elements. As a first in a series, introducing a character with a well rounded background, I think Damaged was pretty good. But I also think the series is going to get better as Callow is able to give readers more of Lange's history. The medical aspect of the case was really interesting, especially when I learned that it was based on an actual trial, but I think it could have been worked in a little more smoothly. Overall a good debut, but as I said, a series I expect will get better with each new entry. Looking for a fun read this holiday season? I'm familiar with Medeiros thanks to her massive romance backlist, but have to admit that I've not read her before now. Goodnight Tweetheart is being blurbed as You've Got Mail meets Sleepless in Seattle, and in a way it's an appropriate comparison. Abby Donovan reached the ultimate in publishing success when her book was chosen as an Oprah Book Club pick. Since then it's been downhill. 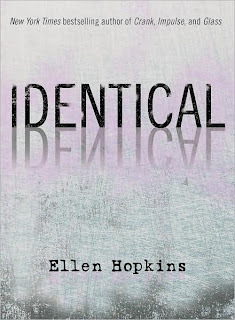 A massive bout of writer's block has caused delay after delay with her new book and her latest signing is a disaster on all counts. When her publicist suggests Twitter as another way to get out there and excite readers, Abby is leery. A newbie to the site, she strikes up an unlikely friendship with a traveling professor. Soon she has to admit that she may be falling for the guy. But how well can you really get to know a person without ever meeting? Goodnight Tweetheart is a cute and light read. Perfect for the bouncy flight from Atlanta to Charleston and the exhausted first night in the hotel. It was nice to get my mind off how tired I was and read something that didn't require that much effort on my part. And the use of tweets as most of the storyline made it zip along! I'd say just about a perfect read if you have to deal with holiday (or anytime) stress. And a nice contemporary introduction for readers new to Medeiros like me. As a book junkie, you know that I'm always on the lookout for new authors to try. Last month, I stumbled upon Aliette de Bodard. Her debut, Servant of the Underworld, was released October 26 and the sequel, Harbinger of the Storm, is due out Jan 25.
de Bodard is just one of the authors picked up by the still very young Angry Robot press, a company that's been releasing some fantastic genre fiction in both the UK and here in the States. I found this press release describing her fateful meet with the Angry Robot folks. Fancy that luck! In Servant of the Underworld, first in the Obsidian and Blood series, Acatl, a high priest of the dead, is asked to intervene in a missing persons investigation. The suspect is his brother and the victim his rumored mistress. The scene itself is covered in blood, but there is no body. As Acatl digs deeper, using magic as well as his keen observation skills, he becomes convinced that the woman is still alive, but can he find her soon enough to prevent his brother's conviction and death? Servant begins as any normal detective book -- but in an ancient Aztec setting. Fantasy elements become stronger as the plot moves forward, making it truly a unique blend of genres. de Bodard's research into Aztec beliefs and culture seems to be on-point as well. It's a really fascinating book and I can't wait to read the next installment. A completely original tale, an excellent debut, and another win for Angry Robot in my book. I definitely recommend seeking out a copy if you're a fan of fantasy and/or historical mysteries. I was in the lovely Charleston last week spending some time at the office and bumming around town with my coworkers -- who were all fabulous hosts, by the way. I had a super fun time. And like all trips, I spent the night before leaving trying to decide what to bring along to read in my down time. I settled on just five books for this trip. It was agonizing, but almost perfect considering I made it halfway through book four on the plane ride home. 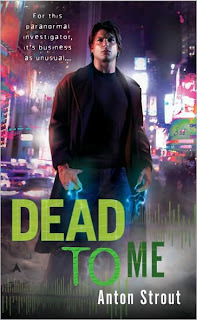 One of the books I brought along with me was Anton Strout's Dead to Me, first in the Simon Canderous series, and my first pick for Jackie's current mini challenge over at Literary Escapism. Simon Canderous has the ability to see pieces of other people's lives just by touching something they owned. He'd been using the gift strictly for personal gain until he almost got thrown in the slammer for it. Now he's honing his skills working for the Department of Extraordinary Affairs. He and his partner are dragged into an investigation after meeting a dead woman who seems very much alive. Sure it's fairly common for the dead to not quite realize their time is up, but this woman is special. Simon's a fun character. He's young, a bit headstrong, but also a bit naive as well. And I love the DEA. Imagine Warehouse 13, X-Files, and Buffy all in one paperback package and you get some idea what to expect. Strout was my day one read, he got me through 2+ hours in the airport and through my flight to Atlanta. Good stuff! Terribly sorry, folks. I didn't prep and prepost for this week. Lots of work stuff going on! I'll be posting again next week, I promise! It's Been a Dystopian Holiday! Wow, I'm on a total roll with the dystopian reads of late. First it was Ally Condie's Matched, then Andrea Cremer's Nightshade (not dystopian, but with enough elements in common that I'll lump it in here anyway) and then Hunger Games. Whew! I know Hunger Games is everywhere right now. My fellow blogger friend Vickie just listed to it on audio this past week as well. The only reason it took me this long is because the Junior Junkies got to it first. I'm usually the one lending books to them. Hunger Games begins in a future where society has been reduced to thirteen districts and the Capitol. Seventy-four years ago, the districts attempted a rebellion and they've been paying the price ever since. District Thirteen was decimated and the remaining twelve must give up two children each year to compete in The Hunger Games. It's a fight to the death and only one can survive. For those of you who haven't jumped on the Hunger Gamesbandwagon, track down the books now, before the movie comes out. (You have time, it's slated for 2013.) It's like Running Manmeets Survivor meets Shirley Jackson's "The Lottery" -- a totally wild and addicting intense ride. BTW, I keep ragging on my sister for not sending me the whole trilogy, but I guess I can hold out till Christmas to read it. The curiosity is going to kill me until then, though. I'm dying to know how it'll all end! Marjorie M. Liu and C.L. Wilson headline an innovative live/virtual book signing, powered by Vivo (http://www.vivolive.com/harpercollins/majorieliuandclwilson). Both authors will be reading, answering questions, and signing copies for anyone who attends the event at Joseph-Beth Booksellers in Cincinnati--in-person or online. “We recently had our first experiment with a virtual event, featuring New York Times bestselling author Julia Quinn…not only did we have a packed house in-store, but we had more than 500 virtual attendees from around the globe. With the powerhouse duo of Marjorie M. Liu and C.L. Wilson, we expect to have a dynamic audience and record-setting online attendance for their Joseph Beth event – whether fans attend in flesh or in virtual reality, they can interact with these beloved authors and get signed copies of their newest books,” says Pam Jaffee, director of publicity for Avon Books. New York Times bestselling author Marjorie M. Liu is known for her paranormal romance novels and comic books. She recently gained national renown with her video game, Tiger Eye: Curse of the Riddle Box. Marjorie is also an attorney, and divides her time between China and Indiana. New York Times bestselling author C.L. Wilson wrote her first novel at age six…but it wasn’t until 2006 that she sold her first book, an epic fantasy then entitled Tairen Soul, at auction. This debut novel was an instant bestseller – as has been every other novel in the series. The author lives in Florida. Online at www.vivolive.com, www.josephbeth.com, www.avonromance.com and www.rtbookreviews.com. CROWN OF CRYSTAL FLAME (9780062018960, on sale 10/26 from Avon, an imprint of HarperCollins), the conclusion of New York Timesbestselling author C.L. Wilson’s sweeping Tairen Soul saga, has been called, “Epic in scope and scale yet emotionally intimate…a truly stellar achievement” by RT Book Reviews. Another Mini Challenge From Literary Escapism! Yay! 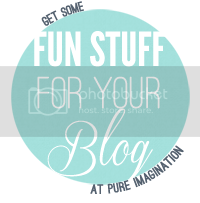 Another Mini-Challenge from Jackie over at Literary Escapism. This time around, the goal is to read up to five new male oriented urban fantasy titles. But, this means they can be written by or star a man. I'm going to peruse my TBR and see what I've got that applies. My goal for the next few months is to really tackle my backlist collection and knock out some reads! Jackie's challenges always help since I've been hoarding books for the apocalypse! for my fifth, I have some seconds in series that I'm considering. The goal is to do new to you authors, but it's been a while since I've tackled Mike Carey and I've also got Richard Kadry's Kill the Dead. Or I could go F. Paul Wilson's Repairman Jack, possibly. I've been meaning the reread The Keep, which is first in the Adversary Cycle, book two is The Tomb, which happens to be the first Repairman Jack. We'll see! Challenge begins Dec 1, so I have some time to decide. 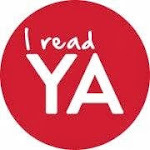 So I've mentioned the Breathless Reads promotion here a few times now. Five fabulous teen reads released between August and December, including Brenna Yovanoff's debut, The Replacement, Kirsten Miller's teen reincarnation romance, The Eternal Ones, last week's pre-pub post, Matched by Ally Condie, the sequel to Catherine Fisher's Incarceron (Sapphique), and Andrea Cremer's debut, Nightshade. I've got Incarceron on my wish list, so Sapphique will have to wait, but I finished both Matched and Nightshade this weekend. Both were fabulous! In Andrea Cremer's Nightshade, alpha Calla Tor has always followed the laws of the Keepers and the Guardians. She's to be paired with fellow alpha, Ren Laroche, in an official union ceremony on Samhain, uniting their two packs and creating a new, young pack of Guardians with a very special purpose. But when Calla saves a mortal boy from a bear one afternoon, everything changes. Shay is no normal human. His uncle is very important to the Keepers and wants to ensure that his nephew is protected at all cost, especially after he and Calla are attacked one evening. Calla again saves Shay and is assigned as his unofficial bodyguard. But, Calla is to reveal nothing about her world to Shay. As they spend more time together, Calla is unable to keep her promise of secrecy. Shay begins digging on his own as well, and the two make some startling discoveries about the history of the Keepers and the Guardians. With Nightshade, Cremer has created a unique and vivid world of mythology and alternate history. It's an excellent debut and first in the series. I really can't wait to see what will happen next (and won't give anything away for you!). I'll admit, the first few chapters are little confusing. The reader is literally thrown into this world and bits of information are revealed along the way. It becomes a more comfortable read after just a few chapters, though, once some of the backstory has begun to unfold. These are not your typical werewolves! Definitely a highly recommended one. I think you're going to love it! Whew. This has been a long week. Slow reading on my part, but I'm taking a break to dive into Ally Condie's new teen release, Matched. I read about half last night before falling asleep and it's fabulous. It's a good thing my sisters haven't heard of it yet, or they'd be nagging me already! Matched had been getting huge buzz this year. BEA folks were all over it, so of course I've been keeping an eye out for it as well. Then it was offered up as part of the Breathless Reads promotion, so I lucked out with an early copy. Matched is set for release on November 30. I'd recommend preordering it if you're a fan of YA dystopian fiction -- or if you have a voracious teen reader like the Junior Junkies in your house! Cassia has always trusted their choices. It’s hardly any price to pay for a long life, the perfect job, the ideal mate. 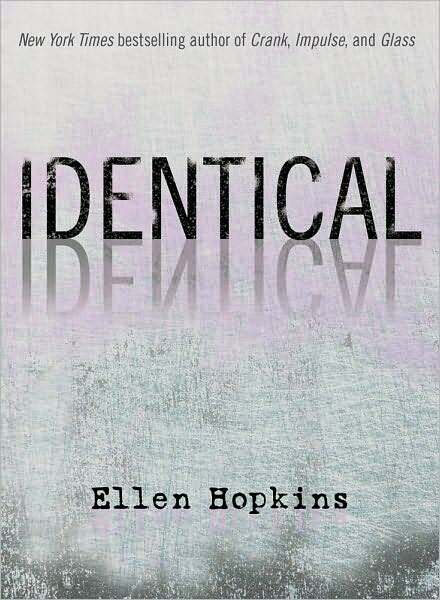 So when her best friend appears on the Matching screen, Cassia knows with complete certainty that he is the one… until she sees another face flash for an instant before the screen fades to black. Now Cassia is faced with impossible choices: between Xander and Ky, between the only life she’s known and a path no one else has ever dared follow — between perfection and passion. Check out Ally Condie's page and the official Matched page for and excerpt and more. And what's on my plate for this holiday week? I'm hoping to jump into The Hunger Games and some other teen reads that have been hanging around on my TBR stack! Another Must Read From My Collection! Have you read the fabulousness that is Ariana Franklin yet? Historical and forensic mystery fans definitely need to add her to their list. Why? Because she's amazing. Her current series, which began with Mistress of the Art of Death, features a 12th century female pathologist and incorporates historical details of the time. It's wonderful! 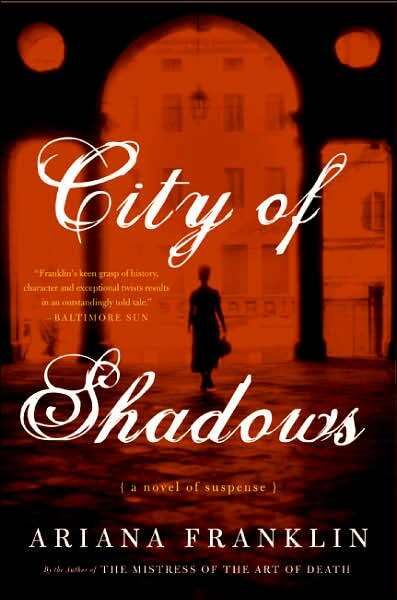 I was first introduced to Franklin (aka Diana Norman) by way of her release City of Shadows, which hit shelves back in '06. And as I mentioned in my Mistress post last year, I was lucky enough to read Shadows much earlier thanks to one of the wonderful marketing folks at Harper Collins at the time (I was still Fiction Lead at the bookstore at this time). Like her series, Franklin incorporated actual historical events into City of Shadows. One of histories most famous missing persons legends (akin to Elvis!) is that of Duchess Anastasia. It's a story that's fascinated me since I was kid and it's been the subject of many movies and books throughout the years. The idea that the little princess was spirited away and saved from execution, hiding out -- possibly with amnesia -- is a romantic one indeed. Interestingly, in the 1920s, a woman called Anna Anderson was believed, at least by some, to be the lost duchess. She was one of many who made that claim, and her story was ultimately proved to be false (here's the link to her Wikipedia page). But that doesn't change the fact that her story and that of Anastasia is still a fascinating one. British author Franklin (the pseudonym of a veteran historical fiction writer) makes the most of an original premise in this engrossing thriller that opens in 1922 Berlin. The German government is in crisis, inflation is staggering, anti-Semitism is rife, citizens are starving and Hitler has begun his rise to power. Horribly scarred Esther Solonomova works as a secretary for fake Russian nobleman Prince Nick, the owner of several Berlin nightclubs (think Cabaret) catering to the rich, the foreign and the deviant. Nick finds an inmate in a local asylum who claims to be the Grand Duchess Anastasia, sole survivor of the slaughter of Russia's royal family. Prince Nick renames the inmate Anna Anderson, installs her in an apartment with Esther and sets in motion plans to get his hands on the money and jewels that Anna will claim as the heir to the Russian throne. But a mysterious Nazi is trying to murder Anna, and those near her begin to die. Franklin deftly orchestrates her characters on and off the world's stage, building suspense to a dramatic, surprising finish. I'd recommend all of Franklin's work, but this is undeniably my favorite! Last week, I posted a Pre-Pub post on Kate Morton's latest, The Distant Hours. Well, what a whopper of a read it was! At just under 700 pages, I finished it in five days (not my best finish time). I have to say I was totally blown away. Milderhurst Castle came alive! The book was a completely absorbing read -- and very nicely gothic in style! I have to highly recommend this to anyone looking to be swept away in a fabulous mystery. If you enjoyed Diane Setterfield's The Thirteenth Tale (an absolute favorite of mine) then you should definitely add Kate Morton to your "Must Read" list! Enjoy! I'm currently diving into Jo Nesbo's The Redbreast and will keep you posted! Each of the four books follows a different character at Angels of Mercy hospital. Lifelines was Lydia's story, Warning Signs featured Amanda, Urgent Care was Nora's tale, and now it's Gina's turn. Course they're each more ensemble stories than that, but the core part of each book focuses on one character. Trapped within the ER are resident Gina Freeman and her friends: Amanda, a fourth-year medical student on her last night of her PICU rotation, and Nora, an ER charge nurse. Can Gina summon up the courage to face her lies and tell the truth before its too late? Will Gina be able to face the deadly killer before another victim is taken? CJ is an awesome, awesome person. I had the pleasure of meeting her at Left Coast Crime where Lifelines sold out after her panel. Fortunately, I found a copy at the bookstore on my way home and was able to get it signed : ) You can check out more from CJ at her official site (linked above) and at her new blog, Marketing With Heart.